You are starting a small business because you have limited resources. Instead of straining your budget or falling in deep debts to start out big, appreciate your humble beginnings. Every great thing, like the mustard seed, starts small and grows extensively. Do not have high expectations. Avoid looking at your business as a profit generator in the beginning, first put as much as you can to it and reap the benefits later. You must be willing to take the baby steps to succeed, crawl, walk, run and fly. Setting goals is important when you are starting a small business. However, to avoid losing track you should not only have a long-term goal. If you want to take your business to another level, this might be a long shot, but it is easily achievable if you set short-term goals to help you get there. You can start by planning on saving a certain amount of money per day and set it a side for expansion and growth. This way, you will remain motivated to achieve bigger things by accomplishing the smaller bits first. There are people who have been in the same line of business as you, they started small and now have big businesses. These are the type of people who can mentor you and keep you motivated. Most people think that they can do it all alone and at the end of the day, they seek advice from friends and professionals. To be on the safe side, find a mentor, probably a friend to walk you through the early stages of a business startup and your journey will be shorter and easier. They might not be in the same business as you, but business is business and the basic are all the same. To many, this might seem like a useless thing to do but the moment you write down what you have accomplished including the smallest of things, you will get the motivation you need to keep on going. Coming up with an idea and transforming it into a business is usually the hard part, the other part is simply being persistent. Most people get through the hard part and fail in the easy part because they do not have a sight of what they achieved and this only pushes their goals further. Running a business requires that you are working around the clock. 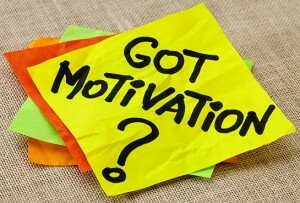 There comes a point when your body will give in and this will greatly interfere with your motivation and energy. The best way to handle this is to create time to rest. Treat yourself to a session in the spa or massage parlor to help you release all the pressure. Schedule your resting time conveniently such that you have ample time to relax and to work. You will recharge fully and get motivated to get back to work.